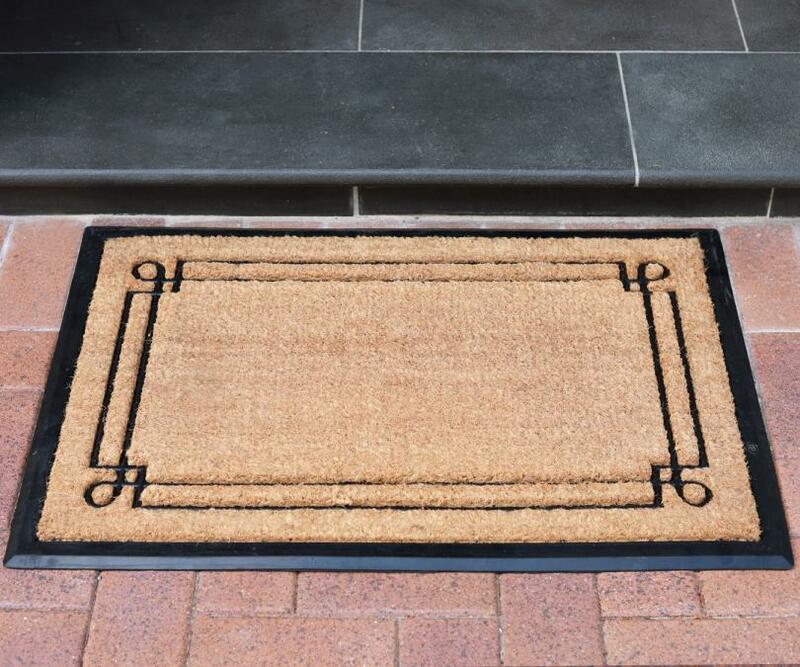 This large doormat features plain, natural brown coir on a sturdy rubber backing with rubber edge and classic double border with corner detail. 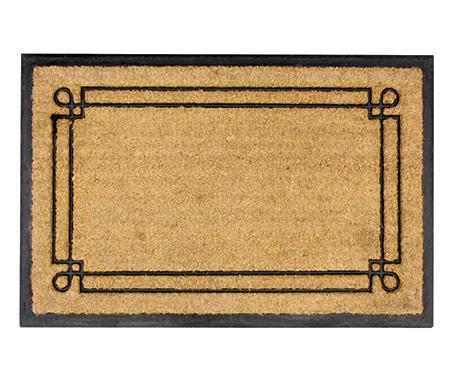 The bold black border of the rubber edge gives this doormat a classic look that completes a chic and simple exterior theme. 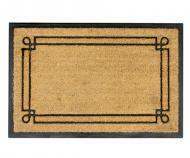 Measures 90cm x 60cm. 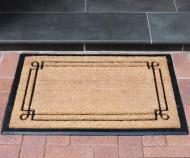 Ideal for larger porches or doorways.